FanTogether connects sports fans to their favorite teams and brings them together where their favorite events are being broadcast. 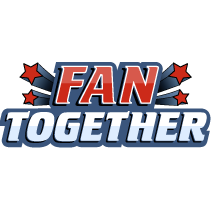 FanTogether aims to help sports fans discover places where they can watch sports events for their favorite team or individual, while bringing together fans with similar interests in physical locations.In addition, FanTogether helps promote places known for hosting certain events regularly, drawing in loyal patrons. Lastly, FanTogether is looking to partner with major sports organizations to offer deeper branding and recognition and partnerships. Dedicated software professional with 14 years experience, including product development, system architecture, and team leadership. I thrive on developing ideas into applications. Experience working on all aspects of systems including mobile, front and back end development. Richard Nalezynski started his career as a professional video game developer, working on several AAA game projects in the industry. He then became intrigued by improving the lives of lesser-abled people, and began exploring touch- and gesture-based interfaces. He’s worked with major game engines and modern development frameworks, including several Microsoft platforms and technologies.